Every now and again I like to immerse myself in a gripping legal thriller with the works: suspense, mystery, an underdog and a great big helping of courtroom drama. Taking these factors into account Predatory Kill did not skimp on the courtroom drama and an underdog I easily came to root for. When April Marsh is left devastated following the murder of her mother and a brutal attack on her father leaving him critically ill, she us convinced that her parents were the target of the bank, a powerful institution against which her father was due to testify. April takes this long shot case to Brent Marks, a seasoned lawyer who has been remarkably successful representing the underdog. However, neither April nor Brent realise they are putting themselves in the crosshairs of the ruthless and greedy who will stop at nothing. The premise of this legal thriller is set in the factual backdrop of the financial crush of 2008 and I found the financial matters within the thriller more technical than I expected, which for those who work in finance and/or law might be an attractive hook. Despite the technicality of the legal matters, I found the courtroom drama more than made up for this aspect. I felt at no disadvantage having not read the first book in the series as this book was easy to read as a stand alone. 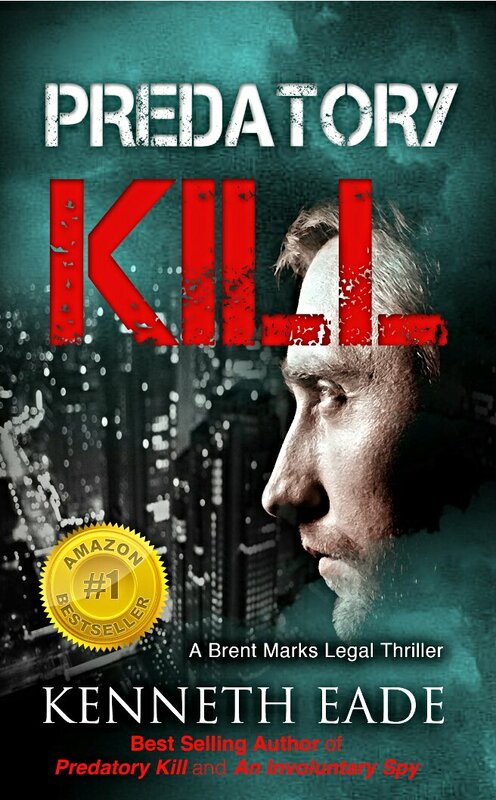 A relatively short but purposeful read and definitely one for those who love legal thrillers. This book is available to read for free to Kindle Unlimited subscribers. Previous Previous post: Where Did My Usual Schedule Go?